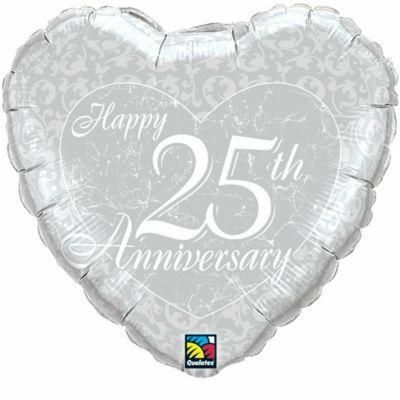 This lovely heart shaped Qualatex 25th (Silver) Wedding Anniversary foil balloon in silver and white is printed with Happy 25th Anniversary. This balloon looks nice combined with plain silver hearts and stars with a silver weight and curling ribbon. Requires helium filling and measures 18 inches across.